Life on the Central Coast has been an adjustment for me, after growing up in the LA Area and all of the craziness that entails. At times it seems like such a cloistered area, even though we’re only a few hours away going North or South from all that is ‘SoCal’ and the San Francisco Bay Area. However the longer I live here, the more I stumble upon – and become ferociously protective of – our awesome local gems, like Noi’s Thai Food, our tiny yet ample Baywood Farmer’s Market, and the Elfin Forest among other things. 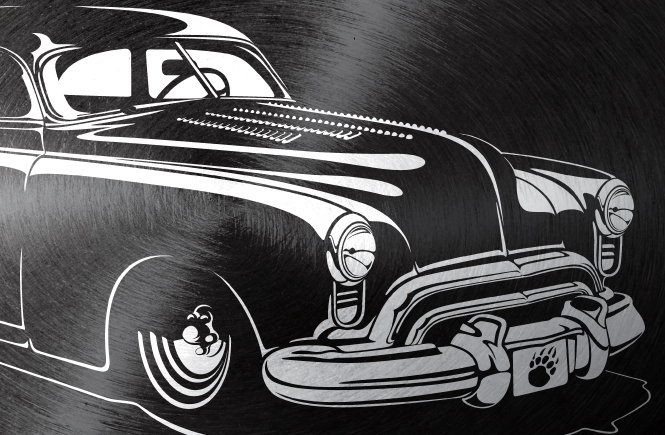 One of these local gems is Bear Metal Kustoms, a small, family owned shop that churns out some amazing hot rods and customs. Check out their gallery for some amazing rides!! They also happen to punch louvers, which a friend of mine took full advantage of on his ‘unicorn’ of a 2-wheel Drive full size Chevy Tahoe which now resides with Tony Moore & the Asphalt Army crew. When the guys at 3INK Screenprinting in Morro Bay contacted me a few years back to work up a killer 1 color print for Bear Metal Kustoms, I couldn’t resist. 3INK took care of the rest of the layout, but were in need of some clean line art for black shirts. 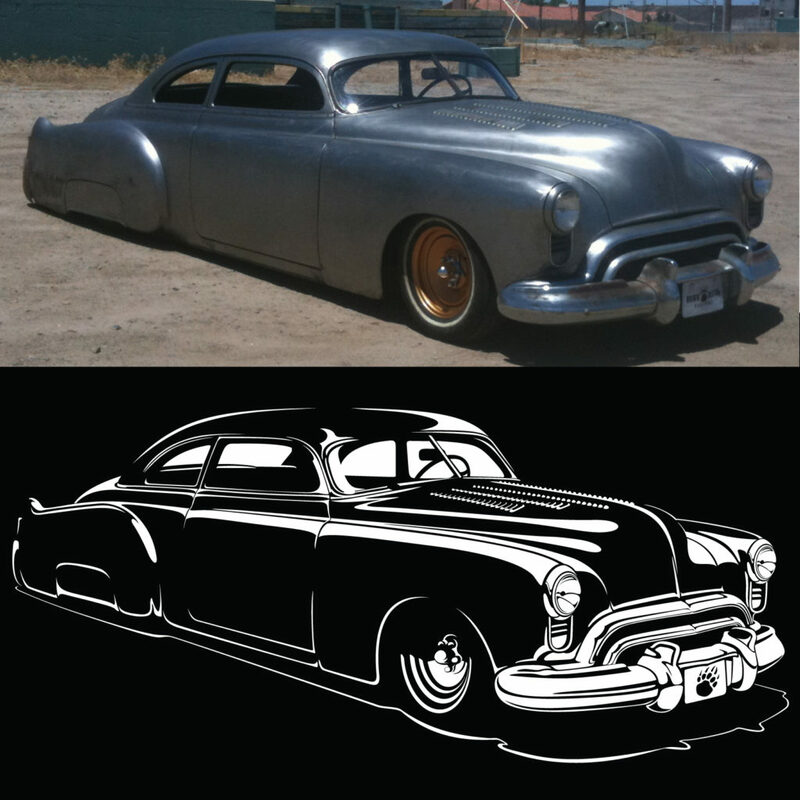 Here’s the final vector art with a photo of the bare-metal beauty above it! 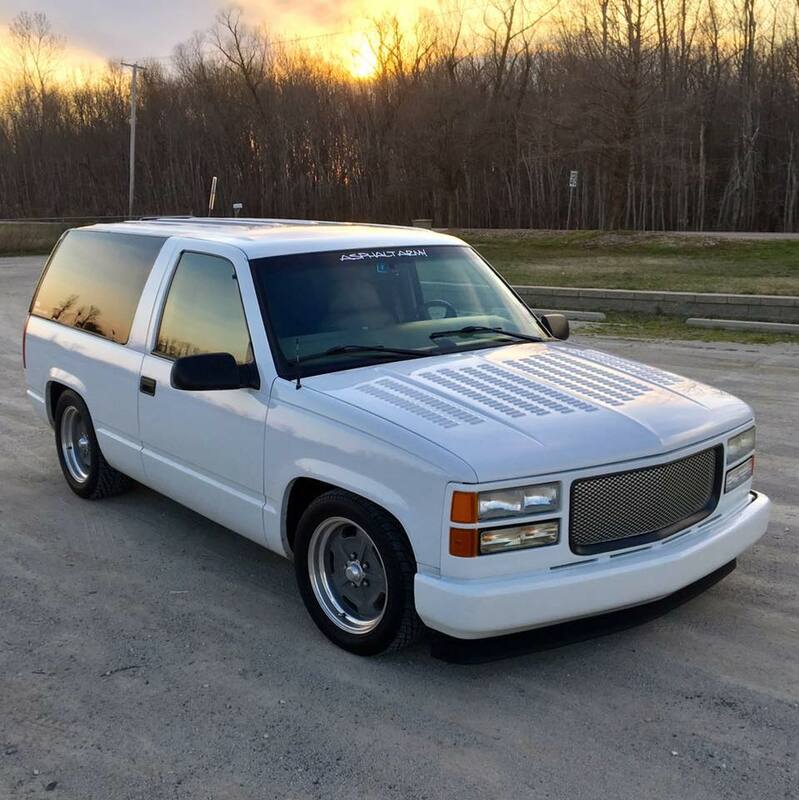 One of these days I’ll have my lowered half-ton step side Chevy (Yeah I’m weird like that) and it, too, will get a hood and tailgate full of louvers! And airbags… and an LS swap… well some Doug Starbuck flames on a black paint job would be nice too…. along with a blood-red interior… sigh…….